Decentralised Access Architecture reduces rack space and power requirements by up to 30% over legacy systems. The design also increases Upstream capacity to deliver better customer experiences. Remote PHY Nodes (RCN) and intelligent RF amplifiers are the core products of the C-COR HFC portfolio. Our Remote PHY products have passed interoperability testing with virtual Converged Cable Access Platform (vCCAP) core technology. C-COR offers a range of distributed access node form factors that perform DOCSIS and EQAM PHY functions. Either 10G Ethernet or 10G PON transport can be used between the CCAP core and the R-PHY nodes. The Teleste AC9100 NEO is an intelligent, 2 x 4 segmentable node with Remote PHY support. 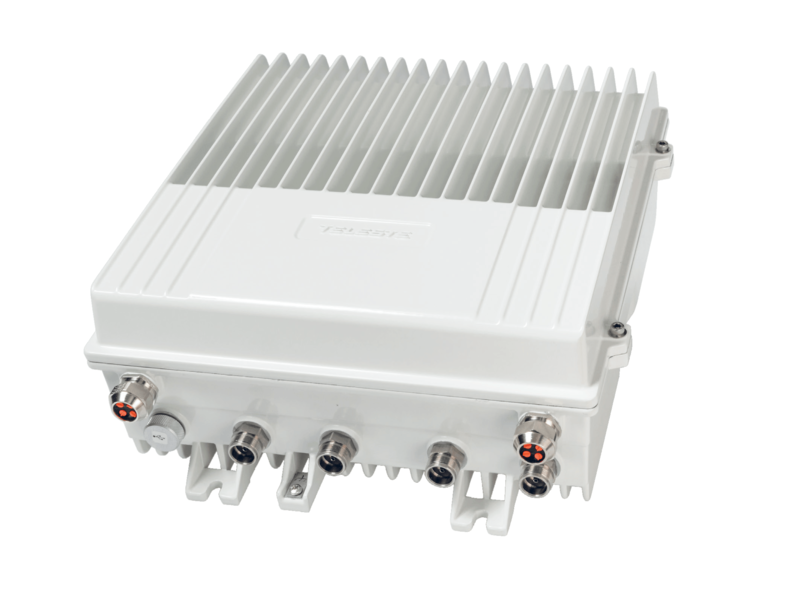 It offers high output level (Umax 112 QAM / 114.0 dBµV) and supports 1.2 GHz / 204 MHz bandwidth. Remote monitoring and control is available with transponder (HMS / CATVisor or DOCSIS).